I just can’t believe that Easter is this weekend! Does anyone else feel completely unprepared for the weekend festivities? My lovely neighbor, Susan, kindly reminded me that it was Easter this weekend and that an Easter printable would be a good idea. I agree! I think y’all need something festive to adorn your Easter spread this weekend. So, with much excitement, I present to you a new freebie!! Isn’t it so cute?!? It’s the perfect size for chocolate goodies, a hard boiled egg or (my favorite) a generous handful of Starburst Jelly Beans. The finished dimensions measure about 4.5″ x 2.25″ x 2″. 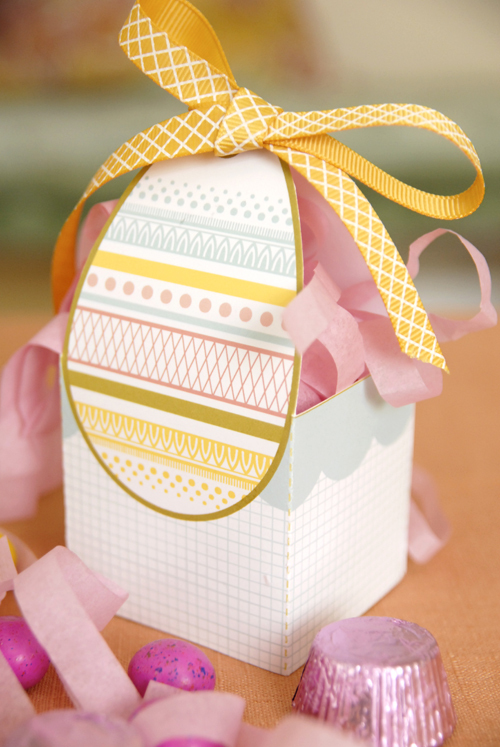 All you have to do is print out on cardstock, cut, score, tape and fill! 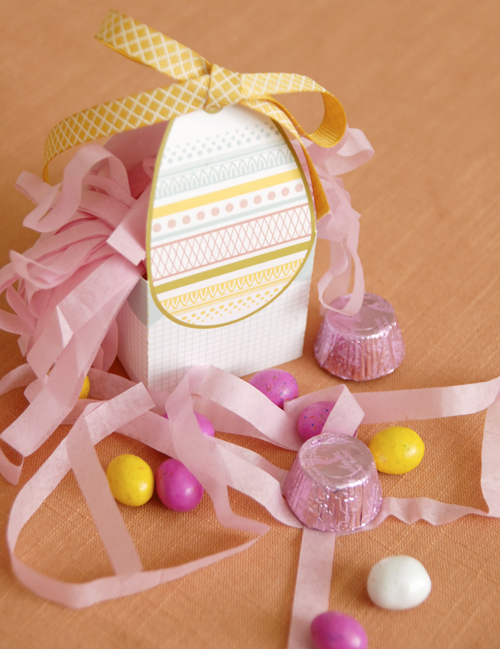 You’ll want some decorative ribbon to tie the tops together and maybe some Easter grass to use as filling. I didn’t have any grass, so I just cut thin strips of tissue paper. I really like how the tissue paper looks. Give it a try sometime! I really hope you enjoy this printable and USE IT! I plan on using these for place settings for dinner this Sunday. Oh, and if you don’t celebrate Easter, it’s sort of holiday neutral, so feel free to use it for anything. Ever! Click on the button below to download for free. Hope you enjoy!! Sooooo cute!! Thanks for the fun printable! So Cute! I might have to use this on Sunday! i love that, Melissa. You blow my mind with your creative abilities. Can’t thank you enough for these darling printables and creative ideas to help us make our Holidays fun for everyone!!! Just eggs-actly what I needed today! Many thanks for a timely freebie. Blessings to you this Easter weekend. You are so stinking awesome that I am really glad we’re friends or else I would hate you. Let’s get together again. I’ll bring duct tape for Oliver’s arms so that he doesn’t hit. So, I didn’t make the printable basket since it was a little too girly for my little guy to appreciate – and we’ve been out of ink for awhile now. Feel free to grab my FEATURED button from the top left hand side of my blog. Cheers! WOW! Awesome – thanks for sharing your work so freely. I love it. 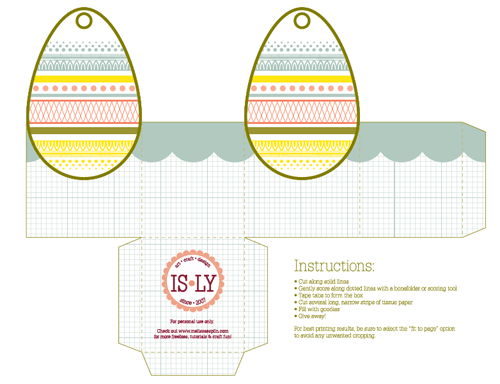 Your printable Easter Egg Basket is just gorgeous! I’ve linked to this article on my blog: http://www.DaisyDoe.blogspot.com. So cute ! Thanks a lot for this sharing ?